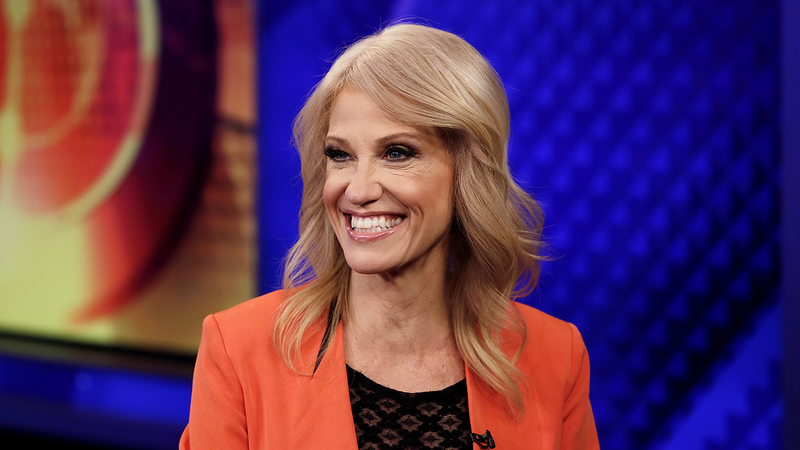 North Carolina Republican Party Chairman Robin Hayes announced Tuesday that Kellyanne Conway will be a keynote speaker at the NCGOP State Convention. "I am absolutely delighted that Kellyanne has agreed to be a keynote speaker at our state convention," Hayes said. "Her nonstop passion and dedication is inspiring to all. She's an integral piece of the Republican Party as a whole, and we thank her greatly for her willingness to support our state party." Conway, a top adviser to President Donald Trump, made history in 2016 as the first woman to run a winning presidential campaign. Conway will be speaking at the NCGOP Convention's Saturday lunch on June 3 at the Wilmington Convention Center. She'll also take part in other convention activities that day. Conway is from New Jersey, and has four children with her husband, George Conway III. The North Carolina Democratic Party responded to the announcement with a statement from Executive Director Kimberly Reynolds. "I commend the NCGOP for having successfully landed President Trump's fourth-most influential Senior Advisor as a speaker for their convention," Reynolds said. "This will be an unparalleled opportunity for Conway and NCGOP leadership to swap 'alternative facts' and discuss Senator (Phil) Berger's pioneering use of fake headlines."